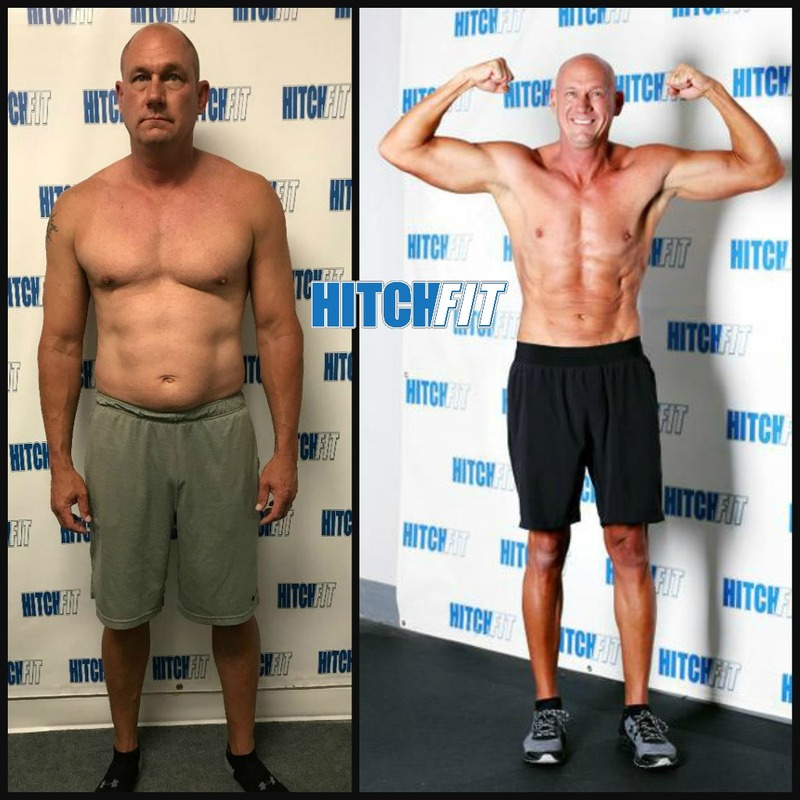 “I never committed to a Hitch Fit transformation to look good in pictures. Sure, I’ll be first to admit I was pleased with—and surprised by—my ‘after’ pictures. But I took this journey to be a healthier, happier person. A few months ago, I felt like life was spiraling out of control. I was living an unhealthy lifestyle, drinking alcohol, and allowing stress and outside forces to drag me down. I was diagnosed with high blood pressure. My knees ached. I was frustrated with myself, and my relationships were affected. Thankfully, I realized it was truly time to take control of my life. I decided, along with my wife, to completely change my lifestyle. Alcohol seemed to be everywhere—social events with friends, business meetings, on the golf course—but I quit drinking completely. My wife and I began attending a new church and fully devoted ourselves to Jesus Christ. I tried to identify stressors and how to deal with them. Initially, I didn’t have a plan of how to get healthier. I’ve worked out regularly my entire life, even ran a few triathlons in the past. But I’d let my fitness and health fall by the wayside. I knew I needed to get my physical self right at the same time I was working on my spiritual, mental, and emotional aspects. I found Hitch Fit at exactly the right time. My wife suggested it, but I pictured Hitch Fit as a place for fitness models and serious weightlifters—not my style. I was a ‘do my own thing at the gym’ guy. I couldn’t have been more wrong about Hitch Fit. What a great, positive atmosphere! 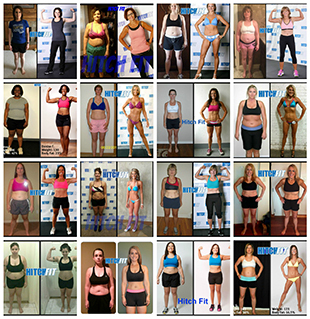 People from all walks of life and states of fitness are there daily to work on their transformations. It is truly inspiring. After initially thinking I could take shortcuts and still get exceptional results, I dedicated myself completely to the program my trainer, Eric Reynolds, designed for me. I felt that if I was going set aside time every week to go to Hitch Fit Gym, I wanted to make it worthwhile. 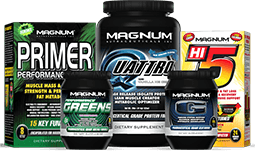 Eric tailored my nutrition plan and held me accountable. He texted me regularly, tested and measured me every week, ensured I was doing everything safely, and pushed me when I needed it. Trust me, when you’re getting measured all the time, it makes you want to keep improving! And I hate to fail. Was HitchFit easy? Not at first. A transformation really does require a lifestyle change. The diet, which is the MOST important part, requires the most planning and effort. But it all got easier, once I gained some momentum. I have a busy job and family, so I have limited free time. My meals needed to be “grab-and-go,” or I wouldn’t follow the plan. On Sundays, my wife and I would cook chicken and brown rice, measure servings of vegetables, hard boil eggs, and prep any other food required for the week. On my way out the door each morning, I could grab my pre-packed food and water from the refrigerator, and I was set for the day. Doing all of the required cardio was also tough, but I knew I had to commit the time if I was going to make it through my program. I’m proud to have finished what I set out to. I recently went back to the doctor, and my blood pressure was 126/80. My body is strong, and I’m in the best physical, spiritual, and emotional health I’ve ever been in. That is what life is all about! I plan to maintain my current fitness level going forward and continue a workout routine at my local gym. I’m sure I’ll be darkening Eric’s door again in the future. There are people I want to thank from the bottom of my heart, starting with my awesome wife. She encouraged me, got me started, and has been my rock along the way. This hasn’t been easy on her, but we are both happier for it. My family and friends have also been a tremendous support, as well. And, of course, Eric and all the other trainers at Hitch Fit kept me motivated. Are YOU Ready for YOUR Transformation with Eric? Or call 816-753-8900 and request to train with Eric! 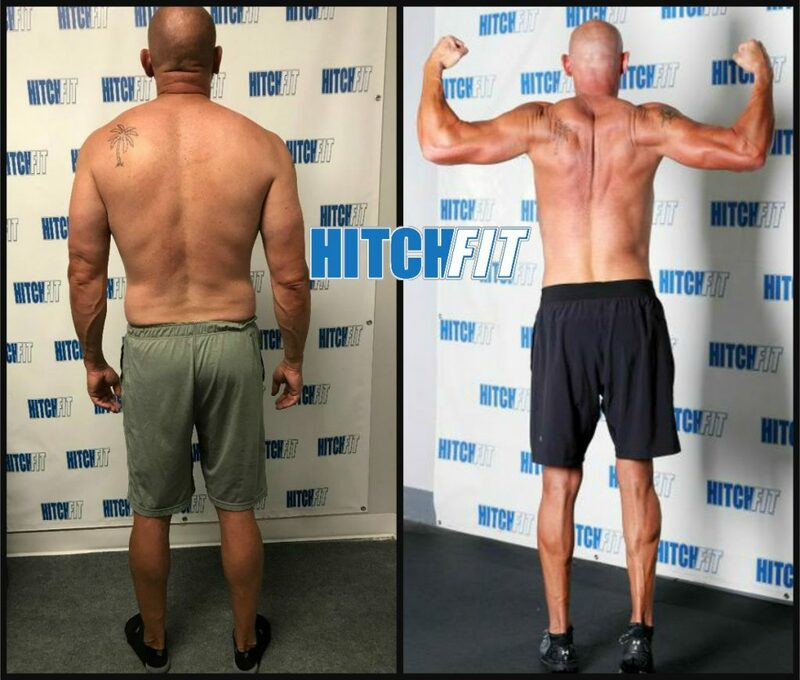 If you are in the Overland Park area and prefer to train at the Hitch Fit Gym location at 91st & Metcalf next to Whole Foods Market, contact us at 816-753-8900 and we will set you up with a TRANSFORMATION TRAINER at that location. Great story and transformation, Mike and Erich! health. Obviously, looking at these pictures and the smile on his face, Mike’s commitment paid off for him and his family. Congrats, Mike! 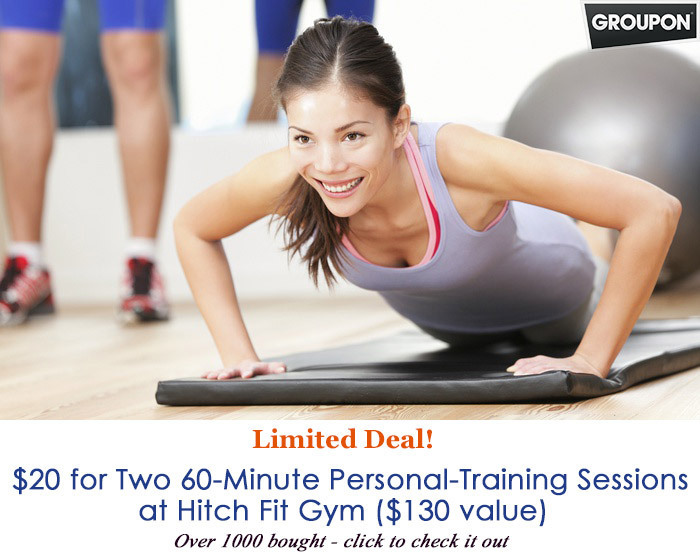 Lose Belly Fat at Hitch Fit Gym! 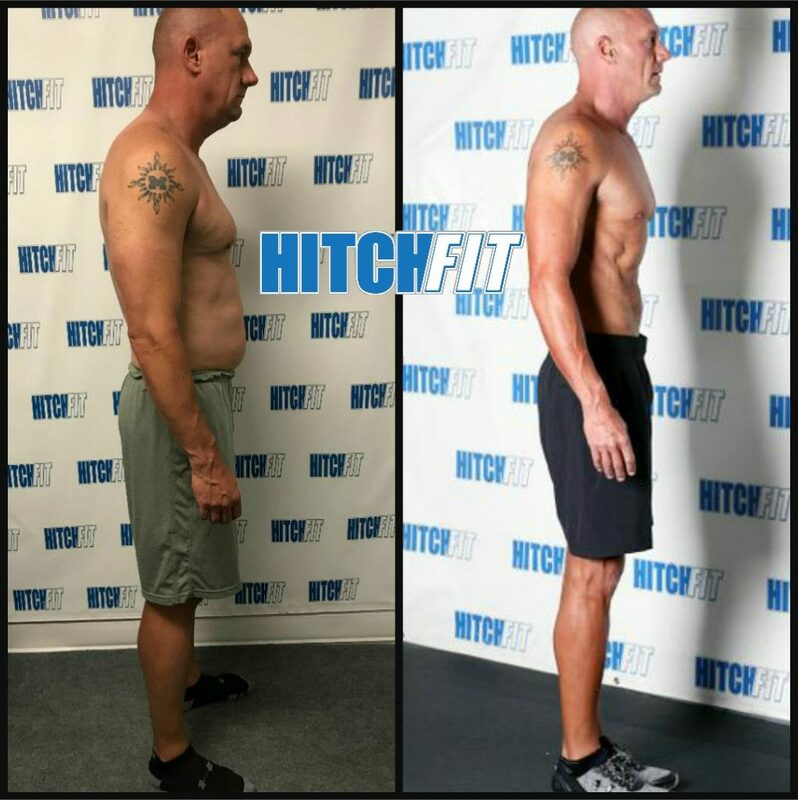 Fit after 50 and Hitch Fit for Life! Get Fit After 50 in Parkville! We at Hitch Fit value your safety and security. HitchFit.com secured with a GoDaddy.com Web Server Certificate. Transactions on the site are protected with up to 256-bit Secure Sockets Layer encryption.